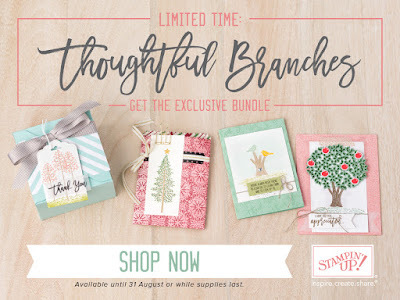 Hello and welcome to our Crazy Crafters Blog Hop showcasing the NEW limited edition Thoughtful Branches stamp set and co-ordinating Beautiful Branches Thinlits dies. This limited edition stamp set and thinlits dies set are only available for purchase till 31st August 2016 (or while stocks last), so get in quick before this gorgeous set runs out. There are so many gorgeous creations out there using this set and the matching thinlits, but I wanted to try something a little different. My colour scheme was inspired by autumn. I just love how the trees near my home change from green, to yellow to orange and then red. So I used these colours in my card. I cut out a piece of Whisper White cardstock and punched out a 1-3/4" circle from a scrap of paper and then trimmed it down a little. 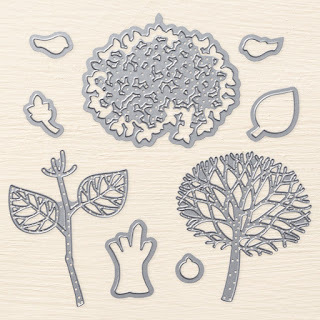 I temporarily attached the trimmed circle to the piece of Whisper White cardstock, this was to act as a guide when stamping my leaf images. 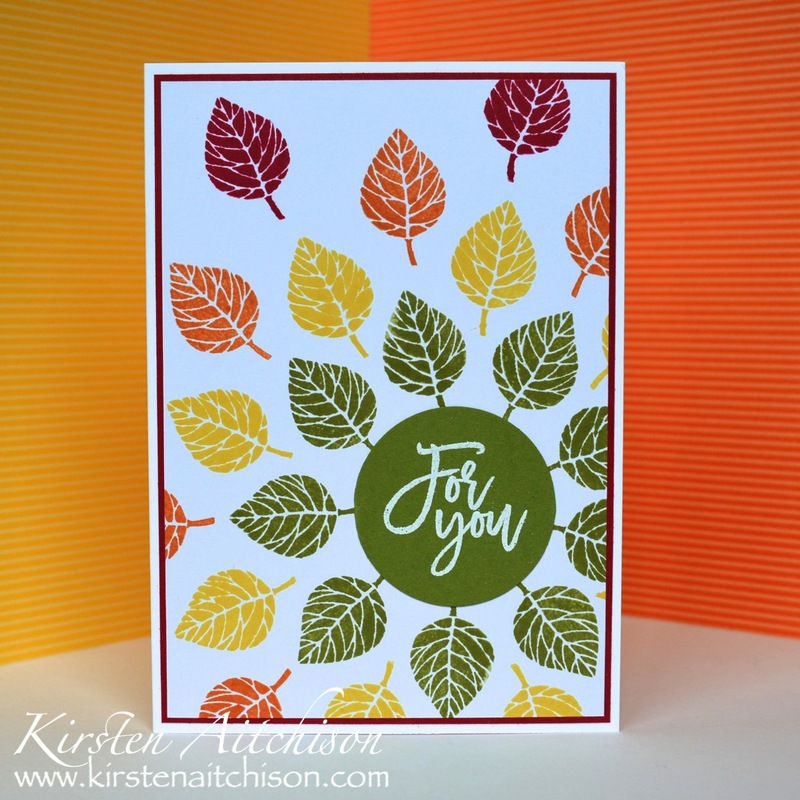 Using the cute little leaf image from the Thoughtful Branches set I stamped the first circle of leaves in Old Olive. 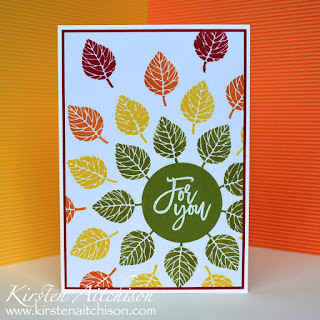 The next circle of leaves were stamped using Daffodil Delight, then Pumpkin Pie and lastly Real Red. 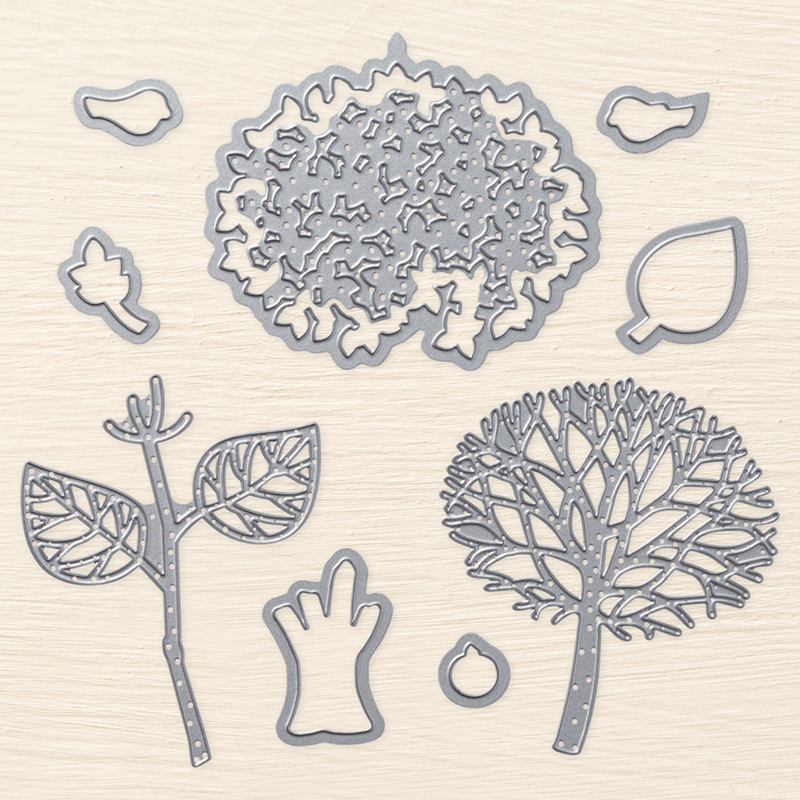 I then removed my temporary circle from the centre of the leaves. 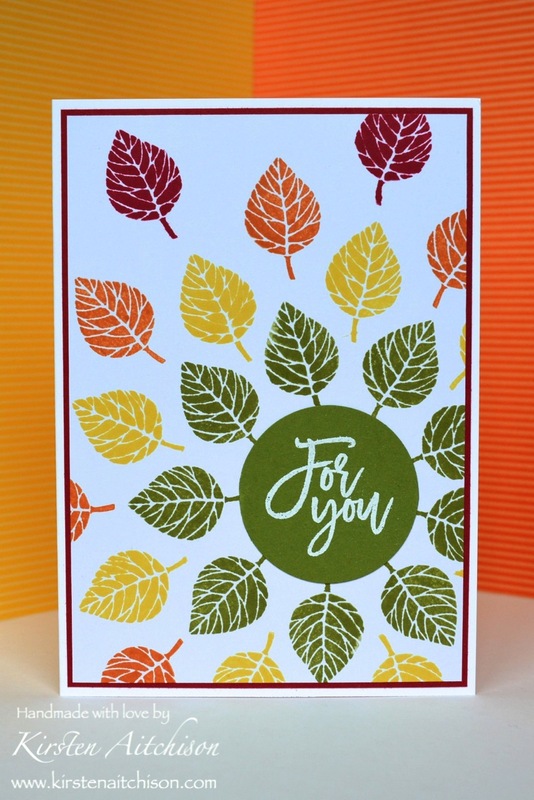 I grabbed a sheet of Old Olive cardstock and the "For You" stamp from the Thoughtful Branches set and stamped the sentiment in Versamark ink and then heat embossed the sentiment using White embossing powder. I punched out the sentiment using my 1-3/4" circle punch and adhered it to the centre of the Old Olive circle of leaves using Snail adhesive. I layered the stamped piece of Whisper White on to a piece of Real Red cardstock using Snail and then using more Snail adhered it to my Whisper White card base. And there you have it, my autumn inspired "For You" card. 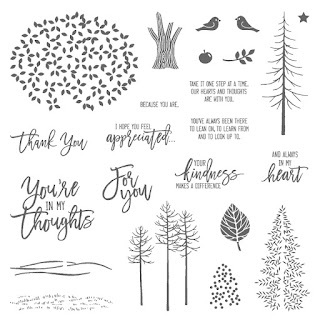 The great thing about using this sentiment is the card can be used for a variety of occasions. Australian customers: Join my Customer Rewards program by making a purchase through my online store. Click here for more details. Love the colors and the patterns. Thank you for the inspiration. Stunning. 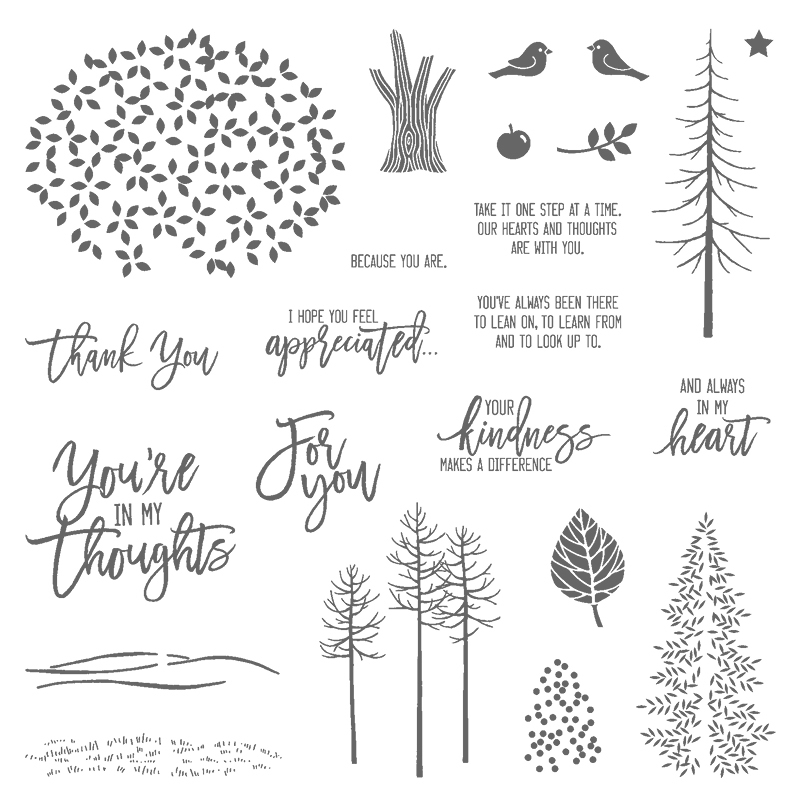 Its amazing what you have managed to do with just one little stamp. Brilliant card! Love the spray of leaves K!